It’s difficult to believe, but the Monster Energy NASCAR Cup Series is reaching its halfway point. It seems like just yesterday all the haulers were loading into Daytona (Fla.) International Speedway for February’s season-opening 60th Daytona 500. The haulers will enter Daytona International Speedway once again Thursday for the 18th event of the 2018 season, the Coke Zero Sugar 400. After this race, it will be 18 down, 18 more to go. Kurt Busch, driver of the No. 41 Monster Energy/Haas Automation Ford Fusion for Stewart-Haas Racing (SHR), has had a successful start to the season. He is seventh in points and has three top-five finishes, nine top-10s and 12 top-15s in 17 races. He’s won two Busch Pole Awards and has led 284 laps – the most he’s led since he led 788 for the full 2015 season. 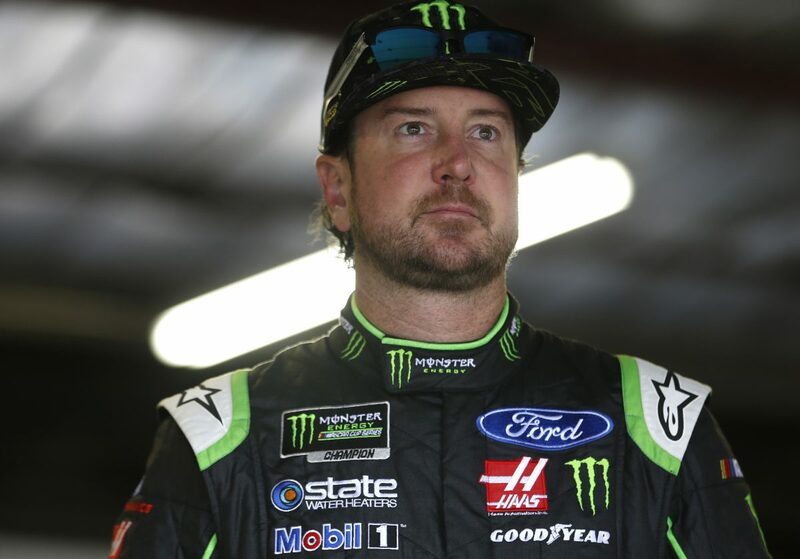 However, Busch has not yet won in 2018 and he hopes to change that this week at the Coke Zero Sugar 400 at Daytona. He won the biggest race of his career in February 2017 at Daytona, the 59th Daytona 500. With a last-lap pass of Kyle Larson in turns one and two, Busch won the “Great American Race” in his 17th attempt. In leading the only lap that mattered, Busch scored his first points-paying NASCAR Cup Series win on a restrictor-plate racetrack, giving him victories on every type of circuit the series visits – short tracks, high-banked ovals, flat tracks and road courses. He’s also performed well in exhibition races at Daytona. Busch won both the Advance Auto Parts Clash and the first Can-Am Duel qualifying race at Daytona in 2011. He led three laps and beat Jamie McMurray to the finish line by .058 of a second to win the Clash in 2011. Five days later, he went on to lead seven laps and beat Regan Smith to win the first Can-Am Duel 150 by .065 of a second. Busch narrowly missed a clean sweep of 2011 Speedweeks by finishing fifth in the Daytona 500, which was won by rookie Trevor Bayne. The midterm is upon us and Busch is hoping is he can pass with a big victory that would lock him into the playoffs. What makes success in restrictor-plate racing so elusive? While teamwork is a part of restrictor-plate racing, eventually you need to look out for yourself. At what point in the race do you do that? You need drafting partners in order to be successful in a restrictor-plate race. How do you pick your dance partners? How much of what you experienced in the Daytona 500 is applicable to the Coke Zero 400?